For more than 40 years, the Real Property Management team has worked diligently to provide best-in-class management services to property owners across North San Diego County. During that time, we've established efficient processes that allow us to deliver real results for our clients. Our unparalleled history in this market makes us an unbeatable partner, whether you're an investor with a large portfolio of properties or a homeowner with a single rental. We have managing property in San Diego County down to a science. We understand the unique constraints of the real estate market in Southern California, and we provide our clients with invaluable support. Whether you need assistance pricing your rental correctly, have questions about investing in your property's upkeep, or want to know how you can invest in the longterm health of your home, we're here to help. With our online portals, it has never been easier to interact with our team. Tenants can easily make maintenance requests, pay rent and update their details, while our clients can use the portals to view account statements and monitor their properties around the clock. John Mayberry has spent nearly his entire life in Southern California. A native to North San Diego County, John has been working in the real estate and property management industry for over a decade. John spent his college days in Springfield, Missouri at Missouri State’s College of Business. After graduating with a Bachelor of Science degree in General Business with a minor in Real Estate, John returned to his home in Carlsbad, CA and resumed work with his clients at RPM. In January, 2015, John took over ownership of Oceana Pacifica Management, Inc., RPM’s parent corporation, from his grandmother, JoAnn Hoekstra. John likes to say that real estate is in his blood. Having been involved in this industry since a very young age, John has the acquired experience necessary to analyze, adapt and overcome the challenges that face rental property owners in Southern California. Debbie began her real estate career with RPM in 1977, shortly after its inception. She started by assisting property managers with projects, both inside and outside of the office. Debbie's lifelong dedication to her our clients began shortly after acquiring her real estate salesperson license in 1981. Debbie now serves as RPM’s office manager and is involved in all aspects of the day-to-day management operations. Debbie’s decades of experience, problem-solving skills and commitment to customer satisfaction is what makes her a true asset to the RPM team. In her free time, Debbie enjoys fishing trips, camping, gardening, and crafts. Megan has been with the RPM team for over seven years, having started her career while studying for her Bachelor’s Degree in Communication at Cal State San Marcos. She has worn several hats in her tenure at RPM, working as a bookkeeping assistant for four years before moving to the leasing department. Megan works closely with Paige in the leasing department at RPM, where she focuses on efficiently placing qualified tenants for properties in our portfolio. Her duties include processing applications, preparing contracts and reviewing them with new tenants, coordinating roommate changes, working with HOA’s and handling tenant correspondence. Megan’s attention to detail and problem-solving skills make her a valuable asset to the RPM team. Josh is a native Southern Californian who has lived in Oceanside, CA for 25 years and is very familiar with all of San Diego County. As the Maintenance Supervisor for Real Property Management, Josh demonstrates his dedication to helping people, hard work and a constant pursuit of perfection to our team on a daily basis. With a background in lumber & building materials, fire technology, real estate sales and swimming pool & spa care, Josh offers a diverse assortment of skills and knowledge to the RPM team. When not performing property inspections on RPM rentals, he is at work in the office, managing service requests and shaping the maintenance department into a more efficient, customer service friendly experience. In his free time, when not watching the NFL football season and the San Diego Chargers, Josh is an avid outdoorsman who enjoys ocean sport fishing, camping and hunting. Josh also enjoys home brewing beer, touring local breweries, traveling and day trips around San Diego County with his fiancé. Lori is a seasoned property management professional with nearly 30 years of experience working in both management and accounting. Prior to joining the team at Real Property Management, Lori held multiple positions in these business domains with a local retirement community, general contractor and several hotels and restaurants throughout the Carlsbad and Oceanside area. 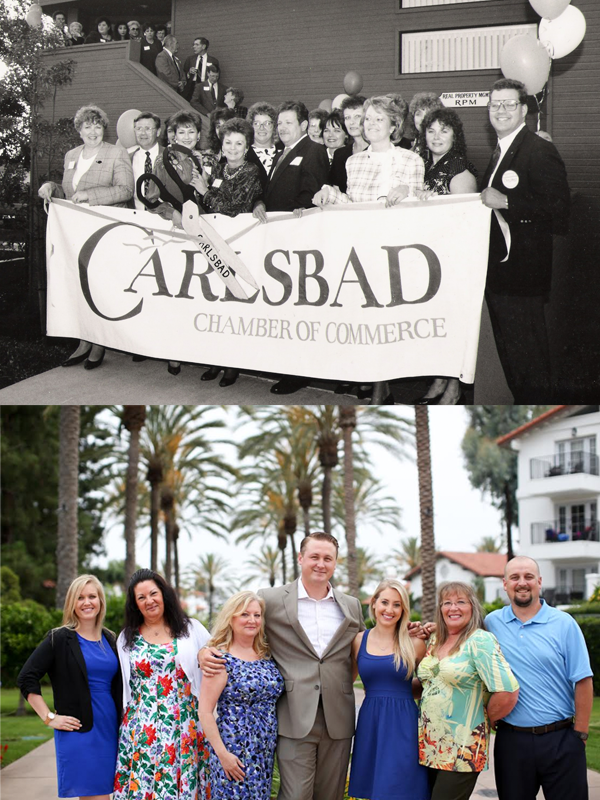 As a Carlsbad native, Lori brings a wealth of local knowledge to the RPM team. When she's not working, Lori enjoys spending time with family (especially her first grandson), as well as camping and country western dancing. Tammy is a long time resident of San Diego's North County. With over a decade in customer service and sales experience, she extends to RPM the highest level of expertise in customer satisfaction. Tammy's role at RPM is to provide prompt response to rental inquiries, and collaborates with the office broker in regards to marketing plans and the selection of advertising media for clients’ rental properties. Tammy also provides assistance to the accounting department and handles most of the showing appointments with prospective residents. Paul's career in property management began during his employment with Qualcomm after his service in the U.S. Navy. With over 20 years of experience in property management, owning his own rental properties, project management, sales and customer service, Paul is a valued member of the Real Property Management team. Paul has become an expert in utilizing his experience to assist RPM clients in increasing their property’s value and works diligently to improve the experience customers and clients have at RPM. In his time spent away from work, Paul enjoys spending time with family and friends. Real Property Management is a family-owned and operated corporation that has been partnering with local property owners since 1975. In the four decades of our existence, we've built a reputation for delivering consistent results and maintaining a transparent relationship with our clients. Our expertise and experience in the real estate industry is unparalleled, and we continue to be a market leader throughout North San Diego County. We remain committed to improving our efficiency and keeping our customers profitable. We do this by continuing to invest in new technology to remain on the cutting-edge of the property management industry. Best of all, we haven't forgotten the principles that we were founded on nearly forty years ago. Our full disclosure policy and dedication to finding the best tenants for our clients has allowed us to stay relevant as we've watched the market evolve.